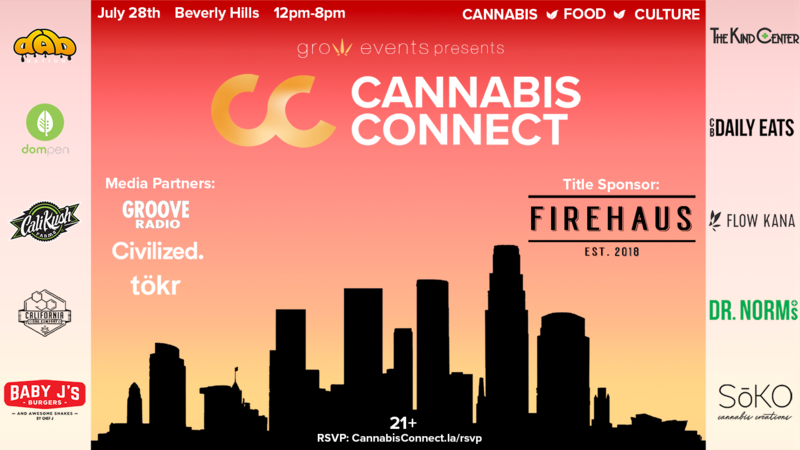 Grow Events, a division of Los Angeles’ premier cannabis advertising agency Grow Studios, is producing Cannabis Connect, a new opportunity for consumers and businesses to connect with each other. With it, Grow Events aims to bring together cannabis retailers, brands, and consumers all under one roof at its very own Beverly Hills event space on Robertson and Olympic. Additionally, title sponsors The Kind Center and FireHaus (SoCal Dispensary of the Year) will be in attendance showcasing the best, most popular, and most cutting-edge brands in the industry. Cannabis Connect is poised to become a next-level gathering space which will allow for direct business to consumer interactions and business to business interactions in a fun, engaging setting that appeals to all backgrounds in the cannabis sphere, consumer & business alike. The private venue will allow for on-site consumption and product testing for consumers and allow businesses to show the full brunt of their offerings.